Hometown rapper Wale has been a hot item around the region. He recently performed at Georgetown University’s Midnight Madness, as well as at UVA and JMU. But a recent appearance has a school president issuing a public apology. According to the Fredericksburg Free Lance Star, University of Mary Washington President Rick Hurley released a statement apologizing for “extreme profanity” at an outdoor homecoming concert. 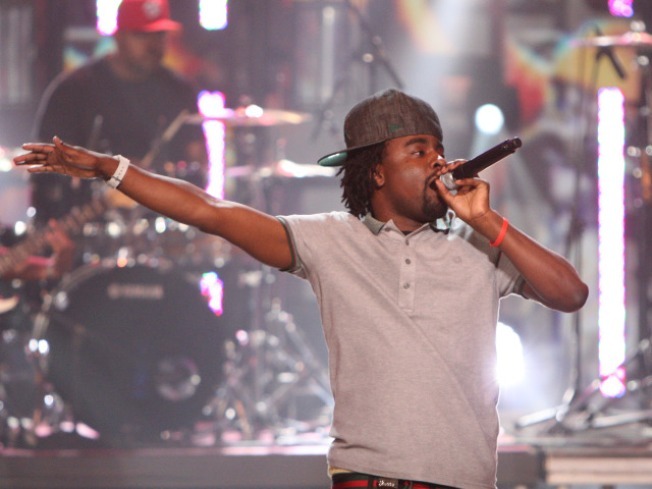 The concert featured Wale, who was chosen by the school body to perform. Hurley told the Free Lance Star that three residents complained of explicit lyrics. “I am sorry that a high-spirited weekend on campus ended on such a negative note for some of our closest neighbors who were offended by both the volume and the content of the music,” Hurley told the Star. UMW has been the target of noise complaints in the past, but Hurley said he was “more upset about the use of profanity,” and that the university would have considered holding the concert indoors if they knew about Wale’s lyrics. It’s not the first time that a venue has been blind-sided by Wale’s profanity-laced lyrics. Over the summer, the city of Baltimore considered taking legal action against the Washington rapper after he performed at “Artscape,” a free, city-sponsored event. According to the Free Lance Star, Hurley said he won’t rule out future outdoor concerts, but that research into performers' lyrics will determine the location in which they perform. D.C.'s Wale has become one of rap's brightest starts. Why is he disappointed?